Translates the mRNA codon sequence into amino acids using the Standard Genetic Code. 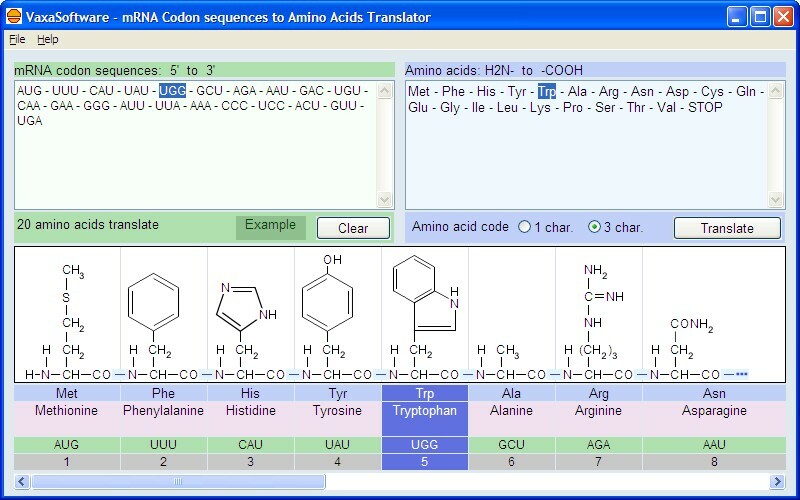 Shows the formula, symbol, codon and full name of the translated amino acids. Easy and fast to use. User's Manual.